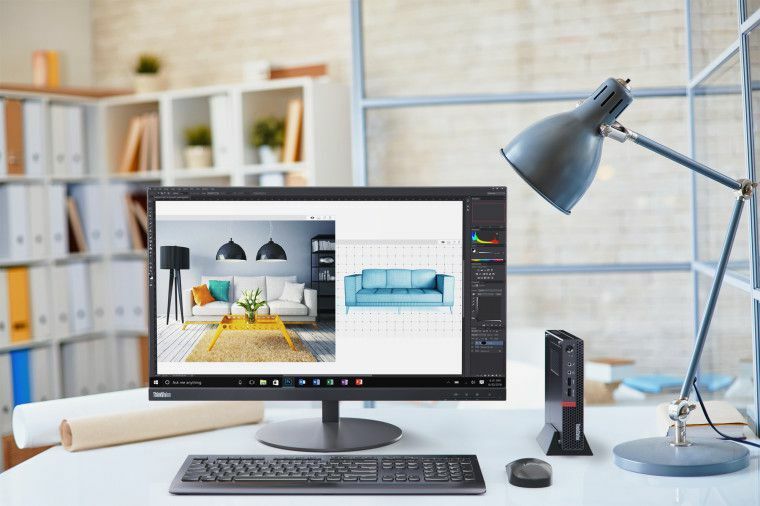 Today at the Transform event in New York City, Lenovo announced its ThinkStation P320 Tiny workstation. According to the company, it’s the “world’s smallest workstation with ISV certification”. The workstation is powered by an Intel Core i7 processor, 32GB RAM, up to 2TB of storage and a Nvidia Quadro P600 GPU. The new workstation also sports six USB 3.0 ports, two full-size DisplayPorts, and four Mini-DisplayPorts. The new device coming in at 1.4×7.1×7.2 inches and weighing 2.9 pounds. Lenovo will also offer PC as a Service (PCaaS) that simplifies “the financing, deployment, management and disposal process” by packaging it into one solution with a monthly cost. Along with workstations, businesses can also choose other products from the company, such as the ThinkPad X1 Carbon and ThinkPad X1 Yoga. Lenovo ThinkStation P320 Tiny comes with an option of having Windows 10, Windows 7, or Linux pre-installed. You can purchase it today, starting at $849.